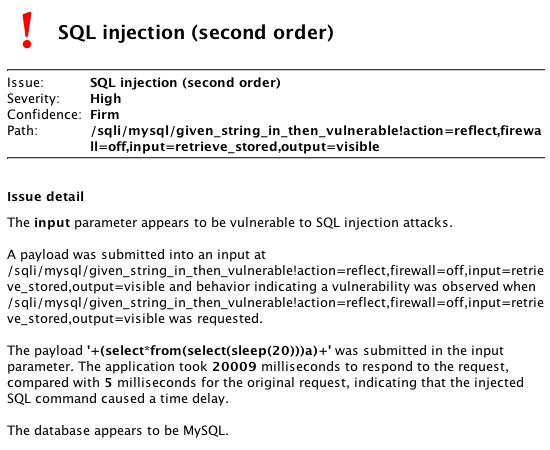 This release introduces a new scan check for second-order SQL injection vulnerabilities. In situations where Burp observes stored user input being returned in a response, Burp Scanner now performs its usual logic for detecting SQL injection, with payloads supplied at the input submission point, and evidence for a vulnerability detected at the input retrieval point. The release also fixes a number of minor bugs.